The following is a list of additional waterfalls in Vermont that I haven't visited yet or I have made a visit but elected not to create a separate page for the falls for one reason or another (i.e. it was located on private property, it was unimpressive, it was a dam, etc.). If you are looking for the main list of waterfalls in Vermont that I have visited and documented, click here. VT Bromley Brook Falls unknown Manchester Not Listed this is a rumored waterfall on Bromley Brook; no other information known; there is a fair chance this is the same place as "Benson's Holes"
VT Butternut Bend Falls unknown North Pawlet Not Listed this is a rumored waterfall on the Mettawee River that is likely to be on PRIVATE PROPERTY; also known as "Mettawee Falls"; this may or may not be the same waterfall as "Mettawee Gorge Falls"
VT Hardwick Falls unknown Hardwick Not Listed it is believed that this waterfall on the Lamoille River was destroyed to "create flood retention walls"
VT Jackman Falls POOR South Lincoln Not Listed this is supposedly an unimpressive set of cascades on the New Haven River; there's a small chance this is actually a DAM; the cascades should be at least partially visible from Grimes Road between its junction with Mill Road and South Lincoln Road; there's a chance this is the same waterfall as "Falls in South Lincoln"
VT Moretown Gorge Cascades POOR Moretown Not Listed this is a set of cascades on th Mad River within an impressive gorge; access should be possible via Fletcher Road; this may or may not be the same falls as "Moretown Falls"
HOW CAN I FIND EVEN MORE WATERFALLS? Scan through in-circulation and out-of-print waterfall and hiking guidebooks; try to obtain copies of out-of-print books through used-book markets like half.com, or by searching through the Google Books website. 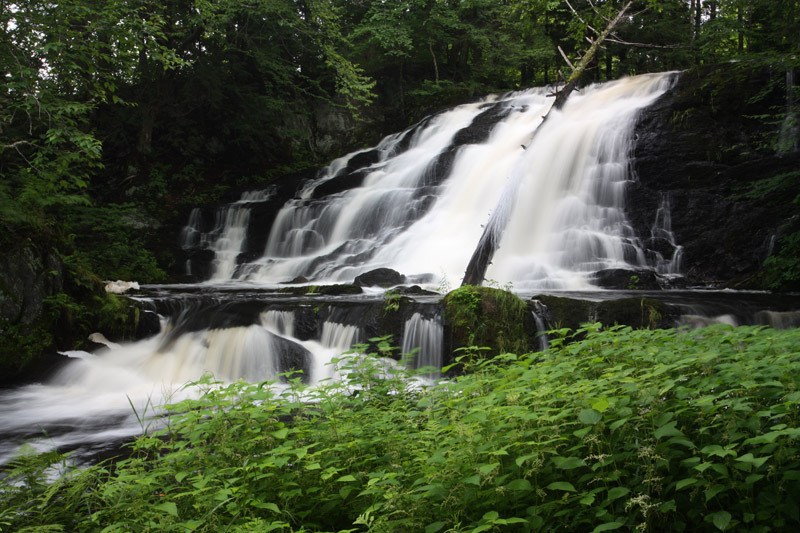 Review these two great websites: World Waterfall Database and Northeastern Waterfalls. Scan paper and online maps for towns and cities that have a “Falls Road” or "Cascade Road". Look at topo maps to see where rivers drop dramatically in elevation in a short distance. Then either review that area on Google Maps (using its terrain feature) or Google Earth, or go actually hike or bushwhack up and down those rivers. Examine both current and historical trail maps (including those 100+ years old because many waterfalls become "lost" over time). 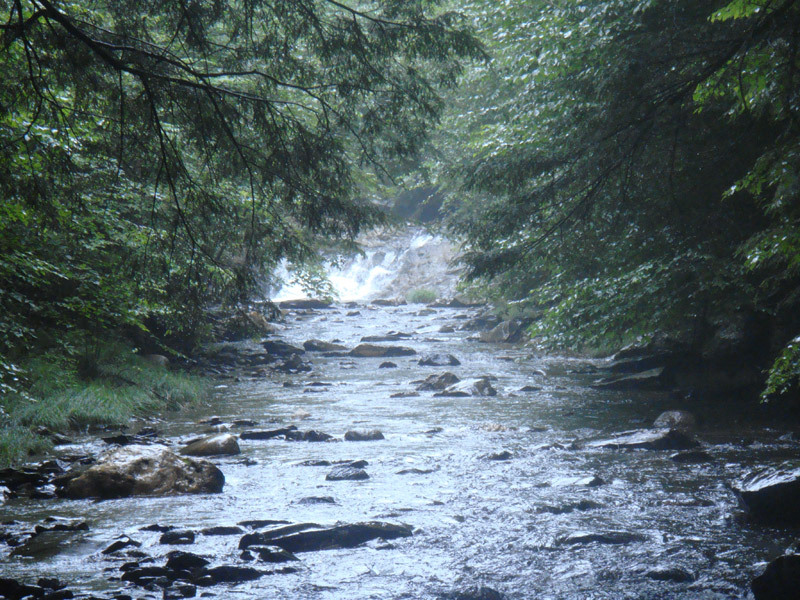 When visiting waterfalls and swimming holes, talk to the local residents and ask if they know of any others nearby. Scan through Flickr groups that focus on waterfalls or photography of a specific region and/or state. Follow waterfall-related Facebook “pages” and “groups”. Talk to local nature photographers and/or follow their photography or hiking blogs. Find people on Facebook or hiking forums who purposely seek out off-the-beaten-path places and read about their adventures. 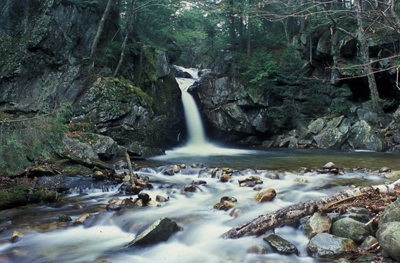 Visit an existing waterfall and hike or bushwhack both upstream and downstream of the main waterfall for more waterfalls. Search for old waterfall postcards, especially at antique stores. Look through Delorme's Atlas & Gazetteers, looking for marked waterfalls or symbols that represent waterfalls. Periodically try to revisit waterfalls that are closed to the public. While odds are good that the falls will still be off-limits to the general public, there is always a chance that the land changed hands and is now open to visitors. Feel free to ask a question, leave a comment, and/or provide an update relevant to any of these waterfalls below.